“Can we try on our new hats?” the dwarves begged Snow White one day. “All right,” she said, “but first shut your eyes.” When they had done so, she popped a red or a green hat on each. When they opened their eyes each could see the other six hats but not his own. “I see exactly three red hats,” said Dopey lethargically. “I see exactly three green hats,” said Doc assertively. “I see exactly one green hat,” said Sleepy drowsily. “I see no red hats at all,” said Happy merrily. “Well, I see exactly five green ones,” said Grumpy crossly. “I can see just red ones,” said Bashful, blushing. As it happens, those with hats of one colour have spoken the truth, and those of the other colour have lied. Now, who was wearing the green hats? OK, a cute one, but it’s one of those logic puzzles that makes me wonder how to program it. Yet another loop of loops? And then, it struck me. 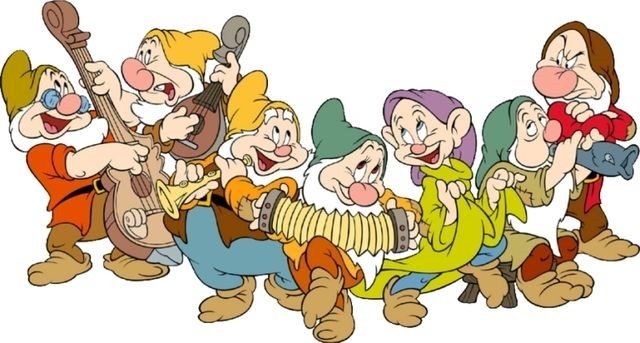 There are seven dwarves. Each dwarf has two configurations, as it were: wearing a red hat or wearing a green one. And then there’s the overall possibility of red hatters lie or green hatters do. WAIT A MOMENT! That’s eight binary possibilities! 2 to the power 8! It can be represented as a byte, people! There’s just one loop going from 0 to 255! Bit-twiddling here we come! What I did was to assume that a zero bit meant green and a one bit, red. I kept the same dwarf order as in the puzzle: so Dopey is bit 0, Doc, bit 1, etc, with the eighth bit defining whether red hatters lie or not (so a one bit means yes). Each cycle through the loop, I’d split the “byte” into bits that I’d use as booleans and return an object that has an array of dwarves’ headgear values (red: true, green: false) and a boolean stating whether red hat wearers lie or not. The `checkPossibilities` function defers its result to a series of tests, one for each of the dwarves’ statements, taking into consideration whether red hat wearers are lying or not. Each of those defers to a check of red hat counts or green hat counts (and of course, the green hat count check just calls the red hat check looking for 6 minus the expected green hat count). Although I did consider replacing those nested ifs with some clever code, in the end I decided to leave it as is: the clearer, the better. Which of course can now be verified manually. Of the five, Puzzle III was the most ‘meh’ for me, with the others being more interesting or fun to do. Puzzle IV was the longest running bit of code, mainly because I couldn’t come up with any deeper analysis that would reduce the number of cycles (over 9 million, if you recall). And, yes, I used the rarer word dwarves for the plural of dwarf. Sue me!